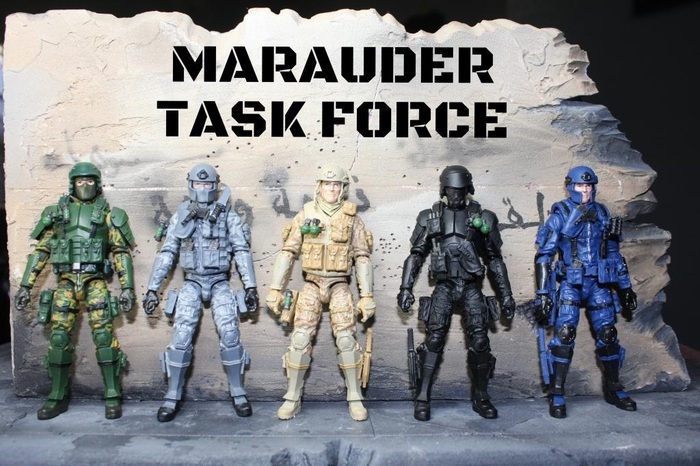 Just a few more hours to get on Maurder Task Force Kickstarter. Skyrocketing beyond what i could have dreamed, you want these all new, factory produced 4 ” figures! They could stand on their own, police your superhero world, work well with with G.I.Joe, or more. GO HERE to find out more. -revsears. This entry was posted in G.I.Joe, Toys General and tagged G.I.Joe, kickstarter, maruder task force by servant sears. Bookmark the permalink.